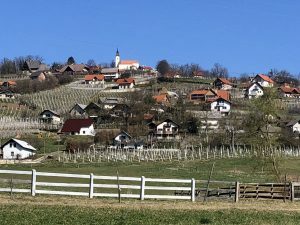 On March 14, 2019 the second Discussion Circle meeting in Slovenia was organized. 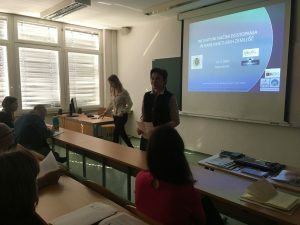 The meeting took place at Higher education institution Grm Novo mesto – Centre of Biotechnology and Tourism and it was attended by over 50 participants. Since the first Discussion Circle meeting in September 2018 was dedicated to the access to farmland (and identified mainly problems and hurdles), the second meeting was looking for potential solutions. Several opinions, experiences and suggestions provided by the educational sector, newcomers and successors from Slovenia and USA, public institutions (schools, elderly home), decision-makers, local authorities and researchers were presented and discussed. The following potential solutions were recognized: (1) setting-up an online tool (web app) with information on abandoned farmland on one hand and farmers, looking for land to start or expand farming on the other; (2) the mentoring program as the online tool (“find a mentor or mentee”); (3) the lease system at National Farmland Fund should be based on active farming, confirmed by verified business plan and specific knowledge; (4) integration of contemporary agricultural/rural content into the curricula of educational institutions; (5) a broad national campaign (“agricultural land is a value”) should be conducted.